PUBG is an intense gunfight game which you will love for sure. So, if you have recently installed the game, but doesn’t know where to start from, then this guide will help you to clear your doubts. Below, we are going to share some easy tips that would help you to get that chicken dinner. Without any hesitation, PUBG Mobile was a huge hit. 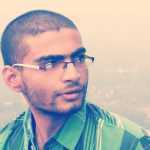 The game is right now played by millions of users and its one of the best game that you can play today. PUBG Mobile is available on iOS and Android app store, and you can get the game for free. We are pretty sure that almost everyone is aware of PUBG Gameplay. Still, for the beginners, we are going to share some advanced tips that can help you to master the game quickly. PUBG is a battle royale game in which you will be dropped with 99 other people on an island. The ultimate goal of yours is to survive till the end while killing others. Well, the first few games of PUBG Mobile are filled with bots. The game is easy at the start as you will be put against the bots who don’t have any human sense. So, you could explore the map while playing with the bots because they don’t have any logical sense and easy to kill. So, make sure to utilize the first few games of PUBG Mobile. Well, if you love to play Counter-Strike, then you need to pick the ‘TPP’ option to play the game. TPP means third person and FPP means the first-person view. So, make sure to choose between TPP or FPP before playing the game to get a better experience. Well, you need to set the graphics quality according to your phone’s capabilities. Usually, the game sets the graphics quality automatically, but still, if you notice any lags or frame drops while playing the game, then try to lower the graphics. Peek, and Fire option is disabled by default on PUBG Mobile. But, trust me it’s one of the most important things that you should enable before playing the game. The feature allows users to peek from behind cover, allowing to see others without exposing yourself. By default, the crosshair color is set to white. But, make sure to change the color because it’s not visible in many scenarios. Especially, on the Vikendi Snow map, the white crosshair color could land you in trouble. We suggest you turn the crosshair color to Yellow or blue. Go to the Settings > Basic and there find and enable the ‘Display left-side fire button’. Set the option as ‘Always On’ as it will help you to shoot with the left hand while aiming with the right. Well, Anti-aliasing feature in PUBG Mobile makes the texture smooth. But, at the same time, it increases the battery consumption and temperature. So, for better gameplay, make sure to turn of the Anti-Aliasing. 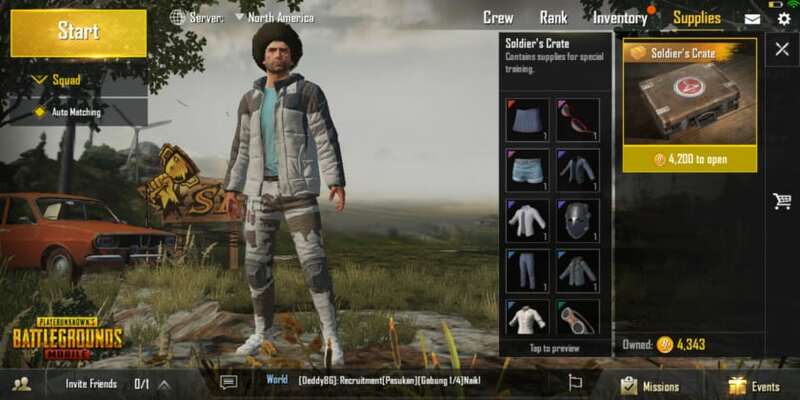 PUBG Mobile offers four game styles – Classic, Colorful, Realistic, Soft. For better gameplay, set the game style to ‘Classic’. Usually, people choose the Colorful mode to play the game, but as per my experience ‘Classic’ is good, and you can find enemies easily. While playing PUBG Mobile always keep moving. By this way, you will explore the map quickly. The pro players of PUBG Mobile knows the map well, and they know the hiding spots which makes the game much easier. So, make sure to explore the map while playing the game. If you are a beginner and not so comfortable with the gunfights, then you need to play the game in a team. This gives more room to learning, and you will learn the basics fast. The only place where you are safe on PUBG Mobile is inside the ‘Circle’. It doesn’t matter how many painkillers, or medkits you have if you stay out of the circle, you will eventually die. So, make sure to keep an eye on the map and check the circles and Redzone. Red zones on PUBG are the artillery barrage. If you find yourself inside a red zone, then run fast to save your life as there’s a good chance you’ll get hit. Hiding inside the buildings is the best way to beat the red zone. So, the next time you find yourself inside a red zone, search and hide inside a building, and you will be able to ride it out just fine. If you want to get that chicken dinner, then you need to learn about the weapons. Weapons like shotguns and pistols are made for short-range firing. Whereas, SMGs are made for enclosed areas where you need to put on lots of gunshots. Again, Sniper rifles are for long range shooting. So, the next time you are landing on the Pochinki (Erangel) or Bootcamp (Sanhok), make sure to choose assault rifle and SMG. Medkits are essential, and it always helps. It doesn’t matter if you are injured or out of the circle, medkits, energy drinks, painkillers always help. So, make sure to carry enough medical supplies because you will need them more often. When you kill someone, wait for few seconds before raiding the crates. Who knows someone is sniping on you and waiting for you to raid that crate. So, the next time you kill anyone, make sure to take a brief look nearby before raiding the crates. Sometimes, we are so engaged in looting stuff, that we forget to shoot. Almost 40% of ammo is left untouched. So, the basic rules is to kill first than loot. Look, looting is important, but you should know when to stop. If enemies surround you, then it makes no sense to raid the crates. So, make sure to clear the ground before looting the crates, buildings, or airdrops. Do you know, that while healing, you can move for 0.5 seconds without canceling the action? So, if you are in a hurry, then you can start moving when there are 0.5 seconds left to heal. These little things become very handy when enemies surround you or the circle is closing up. On the last few circles, make sure to take the shot only if you feel that a kill is guaranteed. Or else, you will end up giving away your position to the enemies. So, make sure to shot only if you feel that the kill is guaranteed. And make sure to go for the head instead of firing here and there to maximize the kill chances. We usually land on a building and start to search for the scopes. However, not everyone utilizes the scopes well. There’s 2x, 4x, 6x, 8x scopes available on the game, but all these are waste if you can’t pick a perfect sniping spot. For sniping, pick a place from where you can have a complete view of the play zone. Well, it’s not all about playing the game with multiple heads, teamwork is a little bit different. Your teammates are not there to save your life or to protect you. They are there to make things easy. So, if you are playing in a team, then make sure to stick together but spread out. Again, while reviving your team members, make sure to clear enemies beforehand. 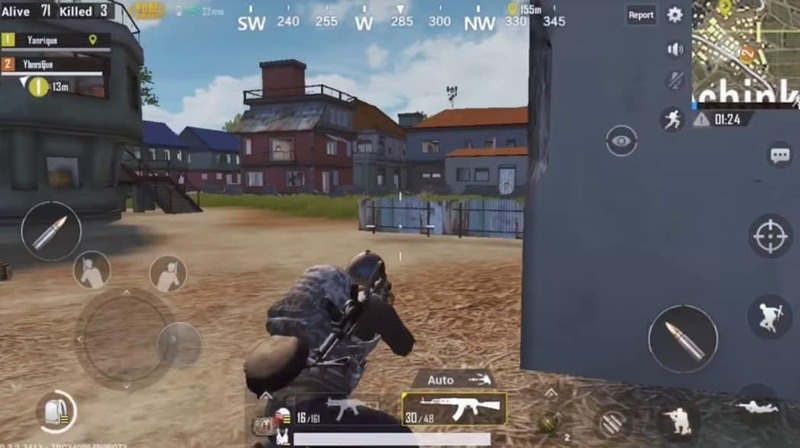 Well, if you want to survive in PUBG Mobile, you need to master the art of hiding. You can hide inside a vehicle, behind a tree, behind stones, behind buildings, etc. You just need to find a perfect hiding spot in whichever area you are in. During the gunfights, don’t be the first one to steal the kill. If the other two is fighting, let them compete and then kill the remaining one player. This is one of the best tricks which very few people knowns. If you are playing on the vikendi map, then dress up something white. 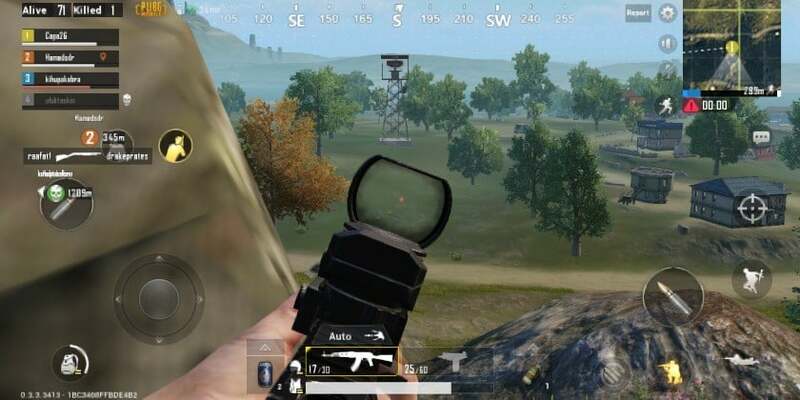 Similarly, if you are playing on the Sanhok, then dress up with Green shirt and Green Pants. By this way, you can easily hide from the enemies. Everyone has a different taste. Some prefer to be a snake on the last circle because enemies can’t spot them. However, in my opinion, being a snake on the last circle doesn’t make any sense because if the remaining player stands up, they can easily spot you. On the other hand, you can’t shoot well while lying flat. So, i always choose to stand up in the last circle to kill all snakes. Always wear the headphone while playing the game. Headphones will help you to hear the footsteps more clearly. Without headphones, the game is incomplete. Carry explosives with you. Explosive works the best if anyone is shooting you from a building. Look for vehicles if you find yourself inside the circle and if you are too far from reaching the circle end. Well, if you can see the circle end and if you can reach there while sprinting, then there’s no need to search for the vehicle as it will just waste your time. Use the voice chat to give commands to your team members. Your teammates on PUBG are probably idiots and there are times when we desperately want to get rid of them. So, make sure to carry explosive as they can kill team members. Play the arcade mode if you want to improve your gunfight skills. Go for the bigger buildings to get maximum loots. Only go for the airdrops if it’s within your reach. Almost 30% get killed while looting the airdrops. 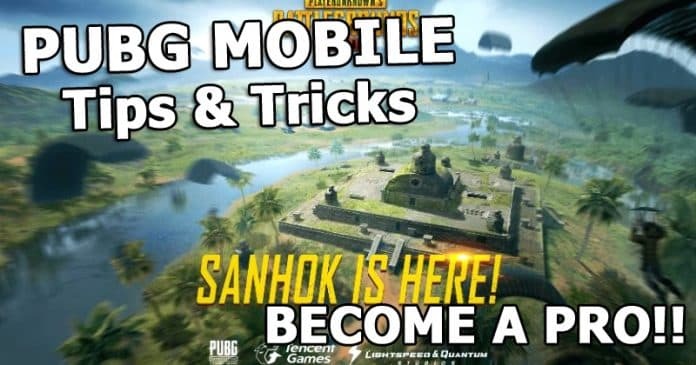 So, these are some of the best PUBG Mobile tips and tricks that you can follow to make the gaming experience much better. If you have any other tips to share, then let us know in the comment box below. So, what do you think about this? Share your views in the comment box below.